What a joyous day! Our son graduated from high school today. 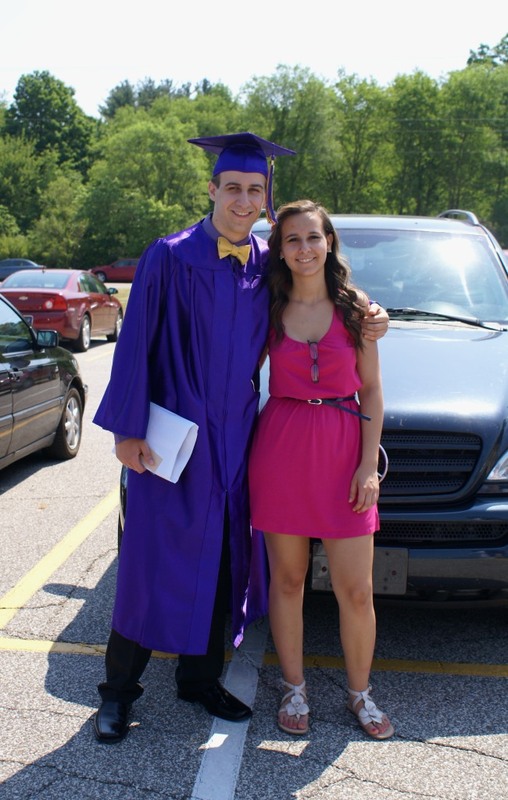 One chapter of his life is ending and a new one is just beginning, as he is starting college this fall. What can a proud mother say?! I am happy, overjoyed and nostalgic today – all at the same time. Just not so long ago when we first stepped onto the the U.S. ground he was just a four year old boy. 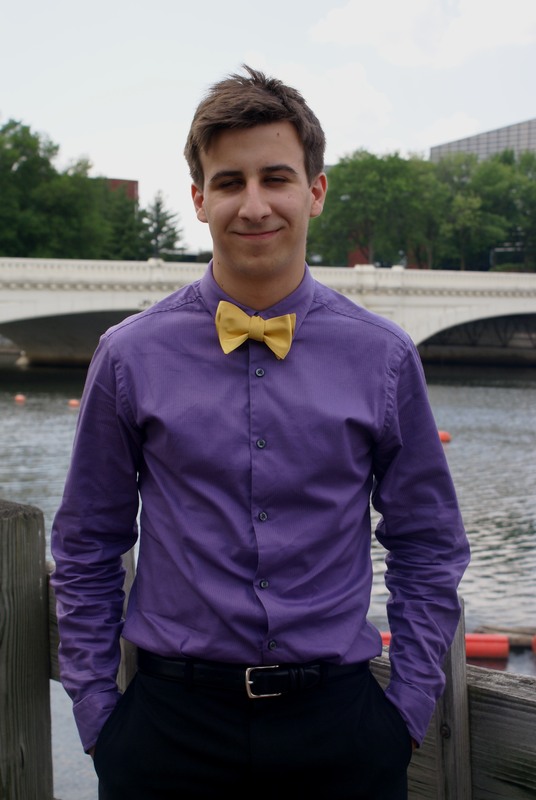 Today he is a young man who has reached one important goal and is moving onto many others. Of course we had to celebrate with a cake. 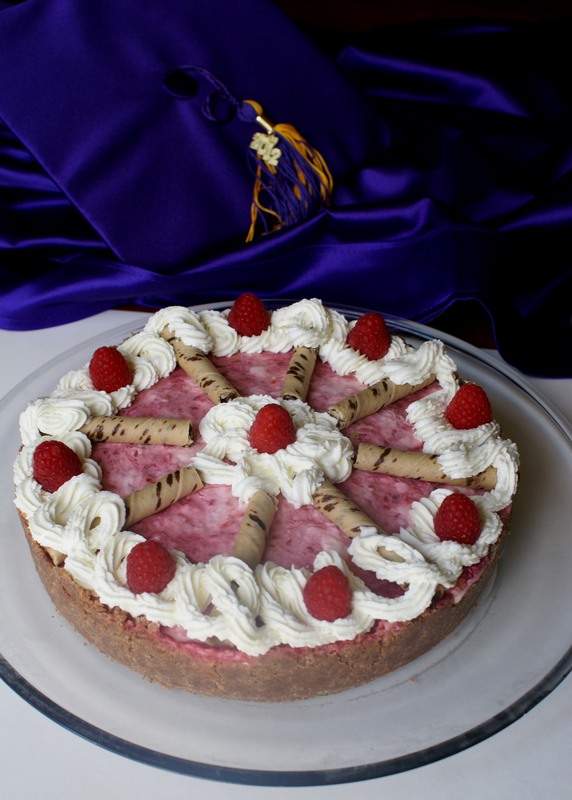 This was his wish – Raspberry Cheese Cake! I LOVE YOU SON and I am proud of you! I thank God for giving me you! 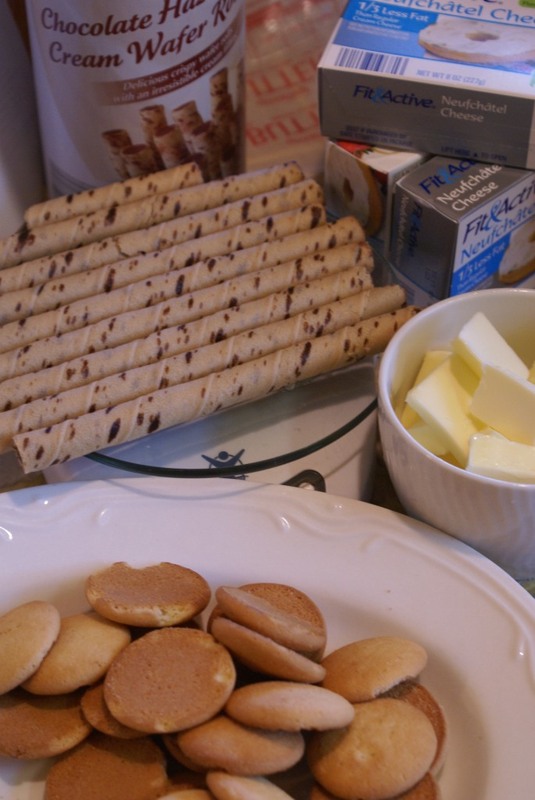 *** For the crust I’ve used combination of vanilla wafers and hazelnut wafer sticks. Line the cake pan with parchment paper and brush with a little oil. 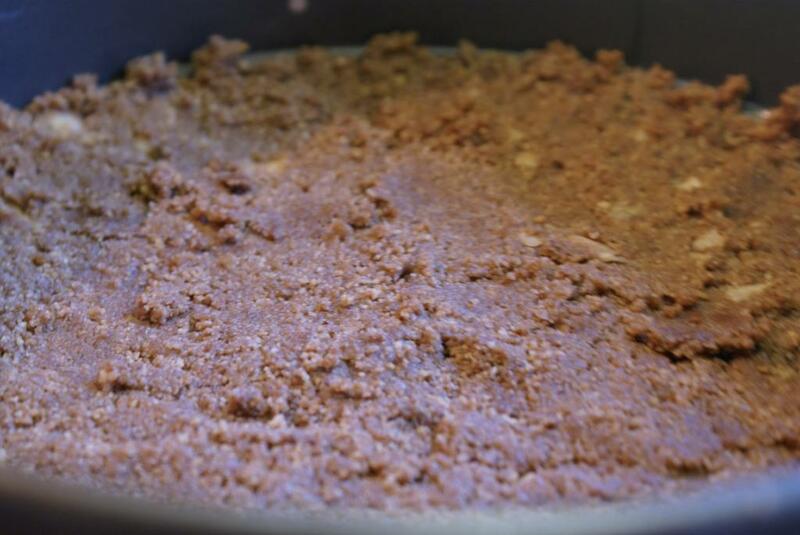 For the crust grind the cookies in a food processor, add melted butter and mix well. Press the mixture onto the bottom and the walls of the spring form; place it into the freezer. For the filling first whip heavy cream until dense, add few spoons of sugar if desired. Place the water and gelatin into a small sauce pan, mix well and let it rest for about 10 minutes. Mix the cream cheese, lemon juice and sugar until smooth. Puree the raspberries with sugar. 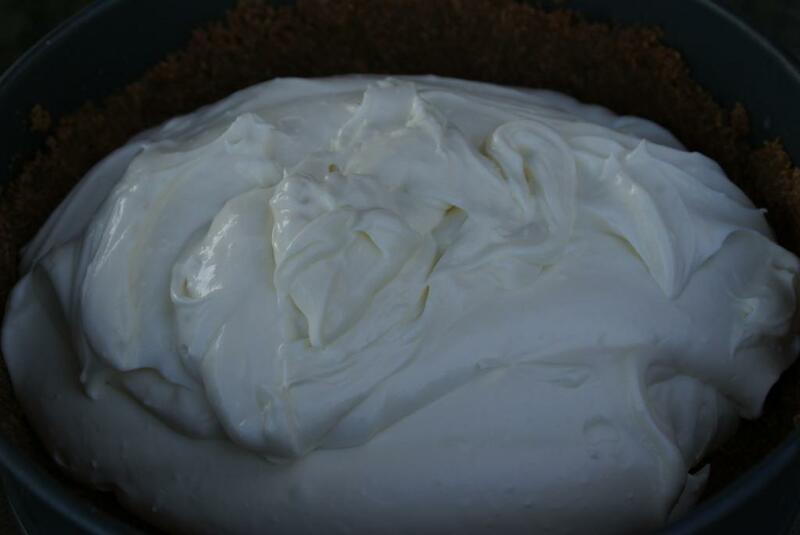 Gently combine the whipped cream and cream cheese mixture. Melt the gelatin on a very low temperature. Pour the ¾ of the gelatin into the cheese-whipped cream mixture and mix until well combined. Pour the filling onto the crust. The other ¼ of the melted gelatin pour into raspberry puree. Pour the puree onto the cheese filling and swirl around few times until just combined. Cover the cake with plastic and leave in the fridge for at least 4 hours. 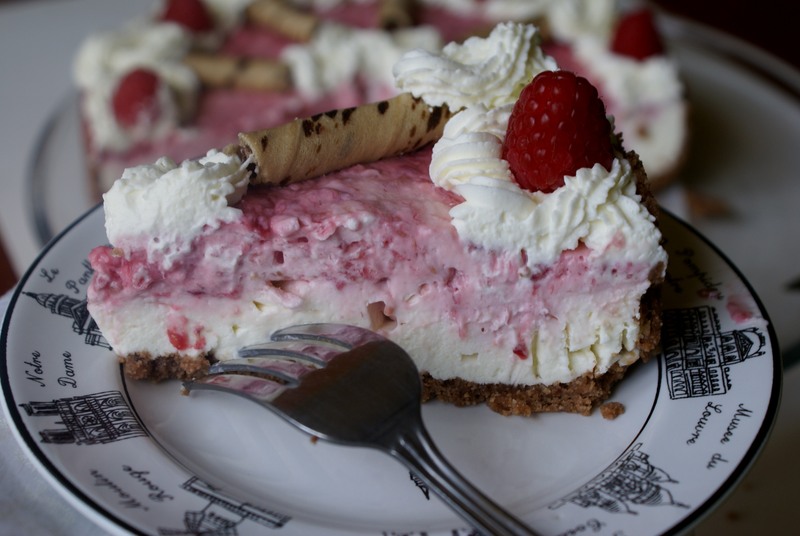 If desired, decorate with some whipped cream, fresh raspberries, leftover cookies, etc. That’s beautiful. My wife would love it! Thanks so much and for visiting my blog! Congratulations on parenting a son through his youth and up to his high school graduation. From what you said, I’m assuming he’s been accepted at a collage. I’ll bet he loved his raspberry cheesecake. Beautiful– what a wonderful refreshing cake to celebrate the occasion. First, congratulations to your son! Second, YUM! 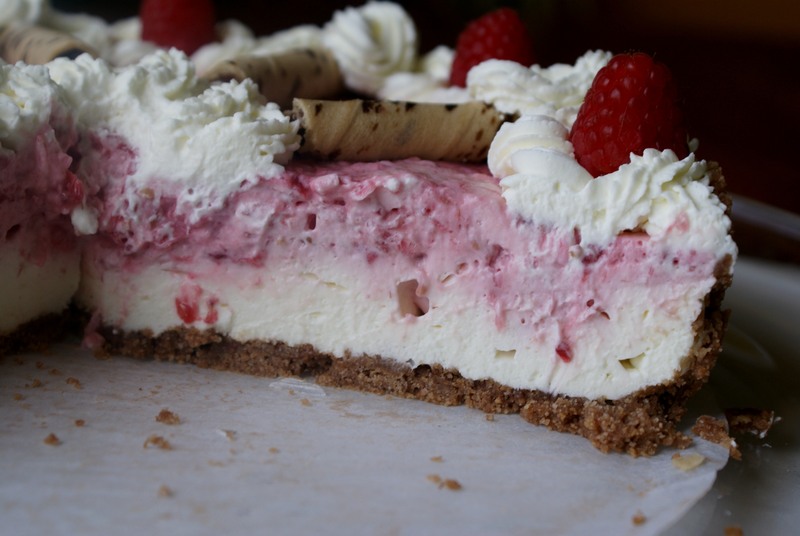 This is the perfect summer dessert – I LOVE raspberries – and the way you decorated it is gorgeous. I love the idea of a hazelnut cookie crust! Thank you Korena! 🙂 Raspeberries are my son’s favorite fruit too. This was my first time using hazelnut cookies for the crust (just for a change) and it turned out so much better than I expected! Looks like a delicious cheesecake. Congrats to the graduate as well! Thanks! It was a really yummy cake! I am sure I will be making it again at some point.